Make autoroute 50 safer as quickly as possible. Visiting Gatineau today, François Legault announced a CAQ government would make the safety of Outaouais citizens a priority and fast track the highway 50 improvement project. “We will mandate the Ministry of Transport to act quickly where necessary to make highway 50 more secure”, the CAQ leader said. The MTQ will also be asked to evaluate how much widening the autoroute would cost, so that an implementation calendar can be defined. Widening highway 50, which is entered as under study in the PQI, will be completed as quickly as possible. Highway 50 safety issues have been known for a long time, with over 125 accidents each year on the average. 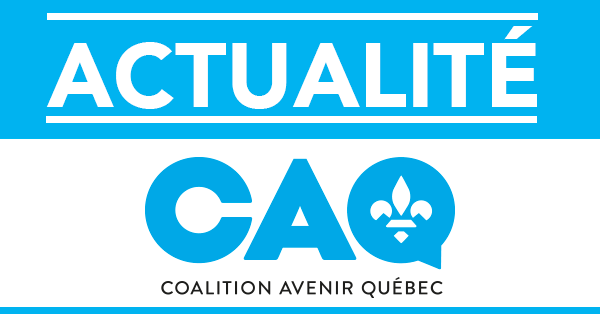 “In the last few years, the CAQ has presented several proposals to the Liberal government to make the 50 safer, in vain”, deplored the CAQ leader. A CAQ government will make it a priority to improve highway 50 safety record and will establish concrete plans to ensure the safety of people living in Outaouais and the Laurentians. “The Liberals have been in power for the last 15 years. If we want things to change in Québec, if we want to do more and to do better for the safety of highway 50 users, we have to start by changing government. The only party that has the team to defeat the Liberals and form our next government is the CAQ”, François Legault concluded.